Contract Move My Stuff for all your removal needs. We bring with us many years of experience and flawless efficiency that comes with it. If you need hassle-free property removals, you need to entrust the job to thorough professionals who know how to do the job well. With many years of experience in property relocation and storage, Move My Stuff is the team you need. 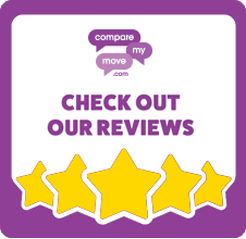 Over the years, we have provided our services for countless home move, office relocation and property storage requirements across the UK, particularly in and around Cheshire and Staffordshire. Take a look at some of the kind words our customers had to say about us. Good lads, very helpful. Everything was great with the move, hard to improve! Excellent service! Very prompt and efficient! A special thank you to Bev for everything! I will absolutely recommend you to others. Excellent service! Great guys who go above and beyond – a credit to your company! Very good service from Craig and Martin! Brilliant job, great guys. Nothing to improve. Thank you. Craig and Dale were friendly, courteous and did a great job. Really nice guys. Smooth move. Excellent service! Steve and Jordan were fantastic! Friendly and fast, reliable service! A good team, hardworking, cheerful and we appreciated the call to say they would be a few minutes late because of traffic. These lads have been worth their weight in gold today! By ticking this box, you consent for your information to be processed and stored by Move My Stuff Limited for the purposes publishing your testimonial.